Great Opportunity!! Best Value in Fairfax. 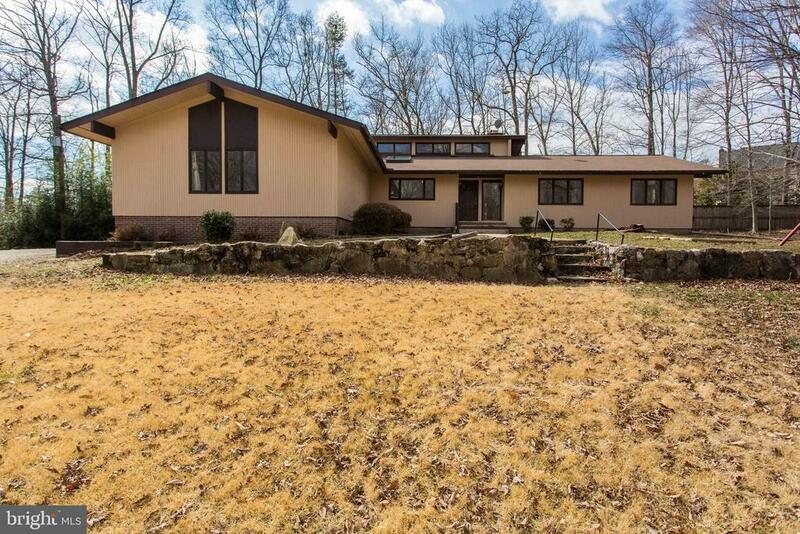 Gorgeous 4 beds 3 baths contemporary home on a beautiful 5 acre lot, great location off Fairfax County pkwy minutes from shopping center, schools etc. Easy access to Rt 123 , I-95 & MetroRail to Wash D C. Great privacy, featuring a natural fed pond, the home boasts a brand NEW ROOF, new vaulted wood plank ceilings, enclosed sun porch, new sky lights, REMODELED bath rooms and new HVAC. Finished walk-out basement with new floors, updated baths, freshly painted etc. No HOA, Great value in property with potential of subdivision. Motivated Seller!! A sure must see! !